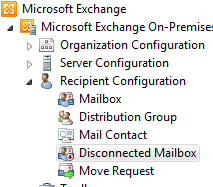 By default, Exchange 2010 keeps disconnected mailbox’s in the DB for 14 days. But say you want to remove this mailbox now and return it’s white space to use in the DB. You need to remove the mailbox from the shell. The Above Article is good and simple to follow, with this step I have successfully removed mail box. Thank you for this Post, It was really helpful. Reminder, this will not work on an account that is in litigation hold.